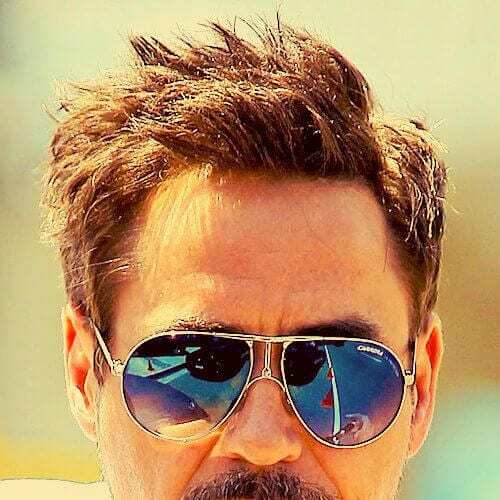 In the past few years, Robert Downey Jr. has adopted an ‘off-duty’ take of the haircut his character Tony Stark, aka Ironman wears in the eponymous movies as well as in The Avengers. We can’t really blame him. Tony Stark, although fictional, is one of the coolest guys ever. So, who wouldn’t want to look like him? 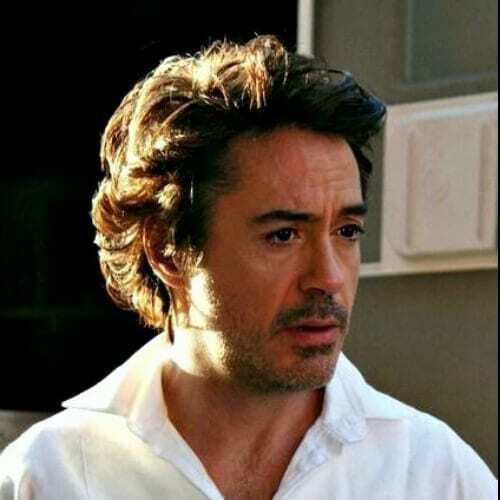 But did you know that Robert has actually had a plethora of hairstyles throughout his career? 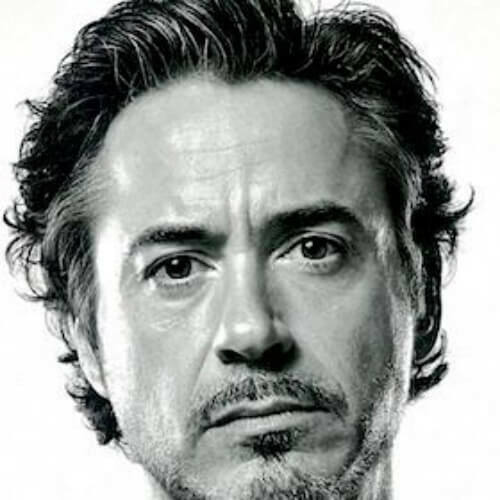 Scroll down to see all 45 of these Robert Downey Jr haircut ideas. We will begin with the Tony Stark because we advertised it in the introduction to this piece. The hairstyle in itself is a short haircut with a quiff at the front. But you can easily recognize it because of the iconic beard which is straight out of the Ironman comic book. 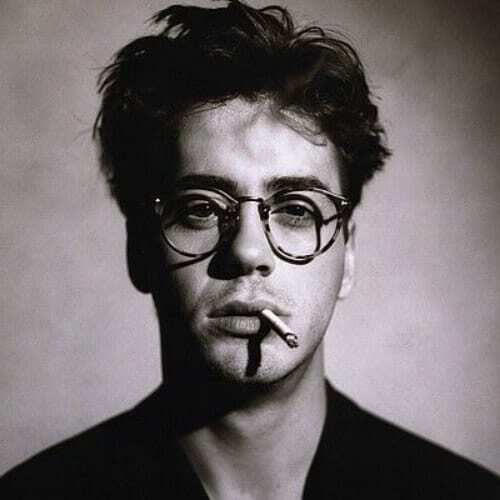 Before he became Tony Stark and adopted the character’s personality and look for his own, Robert Downey Jr used to be a lot scruffier and more casual. Here he is with a laid-back hairstyle and a stubble. Here’s a picture of the actor from his youth. He had a very successful career in the 80s and at the beginning of the 90s, acclaimed both by fans and by critics. 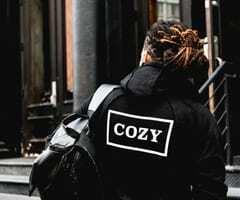 However, things soon spiraled out of control when he became addicted to different substances. After battling his addictions, Robert returned to the big screen when he was already a middle-aged man. 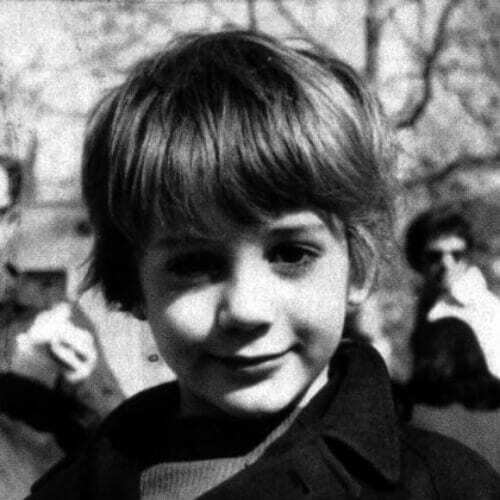 Since then he has become one of the most respected actors in Hollywood, mainly because of his role as Ironman. 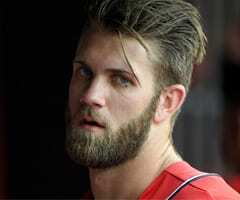 If you want to copy this look, all you need is a bit of hair wax. Rub it into your hands and then run your fingers through your hair. Part it on one side and mess the tips of the strands until you get the desired result. Although he looks good in almost all the haircuts he has tried over the years, this casual pompadour he sported when he was younger is one of our favorites. Back then they used hair gel, but now you can use mousse or hair wax to create it. 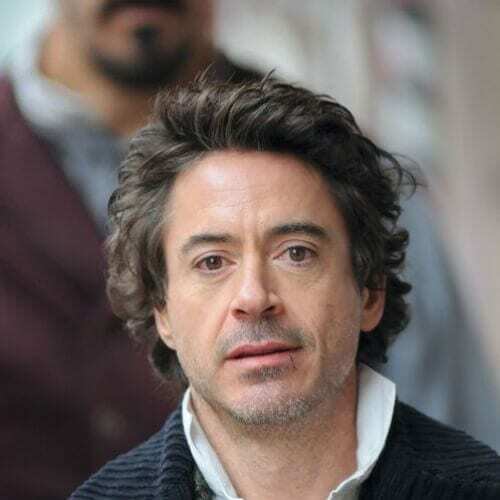 Robert Downey Jr is a natural brunette, but he has played with colors a bit as you will see in this article. Here he is with a little chestnut ombre in the front which highlights his dark coffee eyes and illuminates his beautifully chiseled facial features. 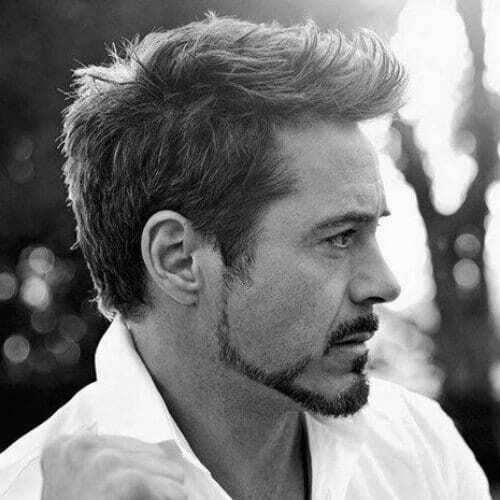 If you have short hair just like he does, you can try this Robert Downey Jr haircut. It’s very simple and casual, but you can spruce it up a bit with a few spikes. Use a soft brush or your fingers to create them. Even though this is not a classic bowl haircut like you used to have when you were a little boy, it still counts as one. The straight bangs are almost on the same line as the rest of the hair. Here are some more ideas for a bowl haircut if you are feeling a bit nostalgic. No, he wasn’t in a boy band, don’t worry. We don’t have brand new information on the actor. However, this is the type of haircut boy bands used to wear back in the 90s. The hairstyle was replicated in modern times as well by the likes of Zayn Malik and his famous ‘hair strand’ incident. Which brings us to this hairstyle. You all know about the time Twitter had a meltdown just because Zayn Malik had a single strand of hair fell on his forehead at a red carpet event. 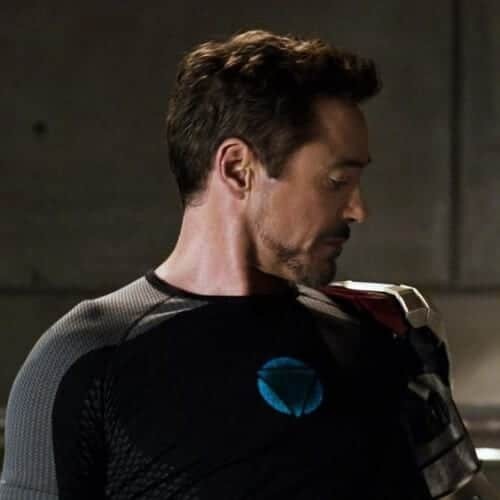 We would like you to know that Robert Downey Jr did it first. Another iconic look from the 90s that the actor participated in was this one. It’s a very layered and volumized short haircut with the hair and bangs parted down the middle. The style lost its appeal as time went by, but it’s still fun to look at. 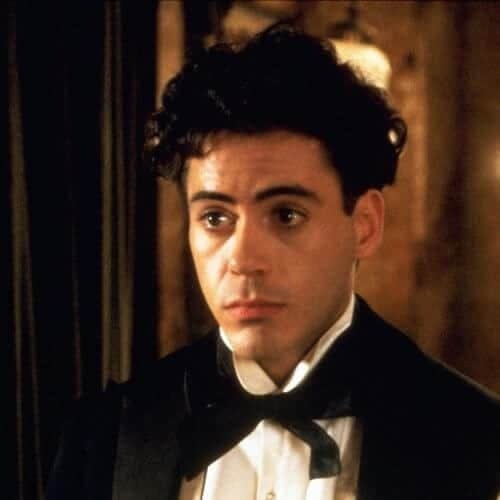 Apart from Ironman, Robert Downey Jr.’s other major Hollywood role since his comeback has been in the Sherlock Holmes series where he plays the eponymous detective. The movies are set in England in the 1800s, and this is what his hair looks like for the part. 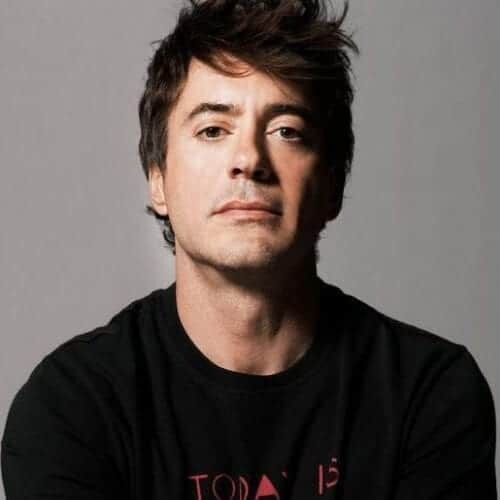 This is about as casual as you can get when you’re Robert Downey Jr. It’s a medium wavy hairstyle with the hair combed over the crown of the head. It’s a perfect choice if you too have a strong jaw and a square face. 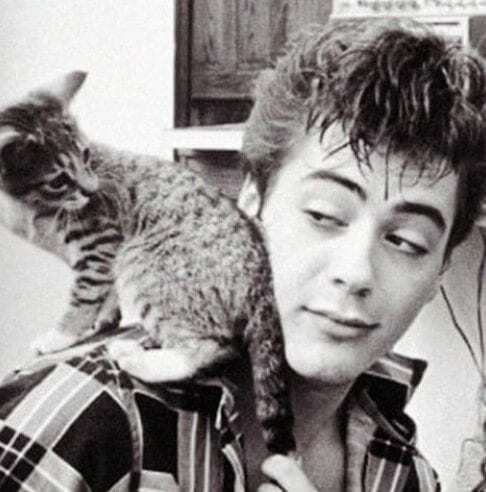 Let’s go back even further in time to the 80s for this cute picture of the actor with a cat on his shoulder and a massive quantity of gel in his hair. 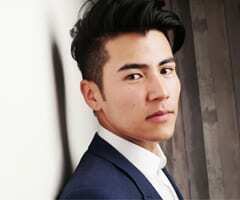 This hairstyle is a combination of James Dean and a volumized Caesar haircut. 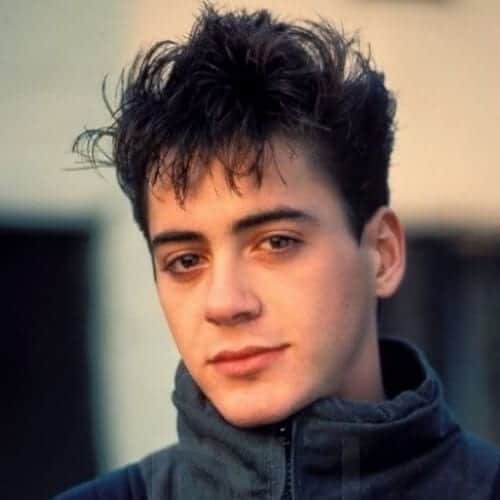 The young Robert Downey Jr. surely liked a clean shave and a 90s haircut with a bit of gel, a middle part and a few strands of hair casually hanging about his forehead. You can clearly see that even then, he was just as handsome as he is now, even though he was less rugged. This is the actor in the movie Johnny Be Good. He is dressed in football attire and has a slightly curly and messy high and tight hairstyle that really makes him look like the cool kid in high school. We have no doubt that he was one in real life as well. Is seems as though this chameleonic actor can pull just about any hairstyle out there. He simply looks cool and composed. Maybe that’s why he was chosen to play Ironman to begin with. Let’s talk about that for a second. We’ve already seen the classic Ironman haircut, now it’s time to see the one that will end it all. Here is the hairstyle worn by Tony Stark in the movie that ends the epic saga of The Avengers, called Avengers: Infinity War. Keep scrolling because we have another hairstyle related to this. In case you were wondering what Robert Downey Jr. would look like if he ever decided to channel a musketeer, here is the answer. Medium hairstyle parted down the middle plus a goatee that makes him look like D’Artagnan. Sometimes less really is more as proved by this practical approach to a buzz cut modeled by the actor. It’s a very simple and fuss-free hairstyle that will get you through the summer when you have to face the simmering heat. 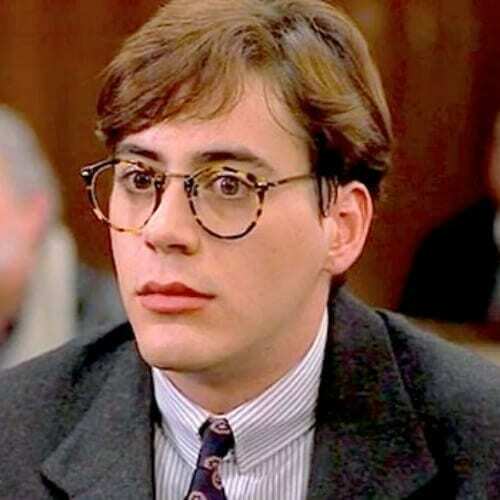 At some point during his career, Robert Downey Jr also tried his luck at being blonde. It wasn’t necessarily his best decision but it’s refreshing seeing him try something new other than his typical brunette color. 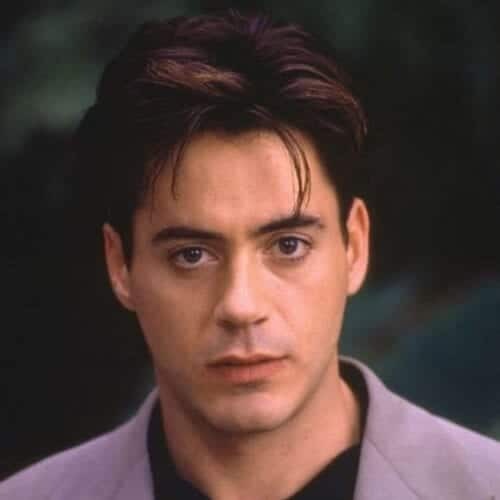 Here’s a Robert Downey Jr haircut which you can easily copy in case you need to attend a fancy event such as a wedding, a garden party or your prom. This is a comb-over with a side part and a light stubble. You can opt out of the glasses if you don’t like them. Here’s the actor in the movie True Believer where he played the part of Roger Baron. It’s truly amazing to see all his transformations on the big screen that are accompanied by characteristic hairstyles. It goes to show that Robert Downey Jr really is an outstanding actor. This haircut is a step above the buzz cut. 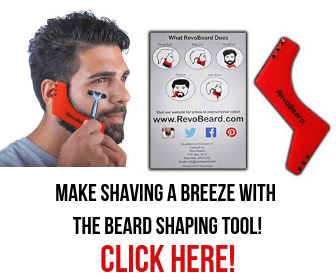 You can ask your hairstylist or your barber to give it to you or you can do it yourself at home if you have the proper tools. We advise you to watch a few tutorials on YouTube first, though. If you want to copy this look, you will need a round styling brush and a hairdryer. You can use some mister to slightly dampen your hair or you can do it when you step out of the shower. Don’t forget to add some protection against the heat. One thing’s certain. 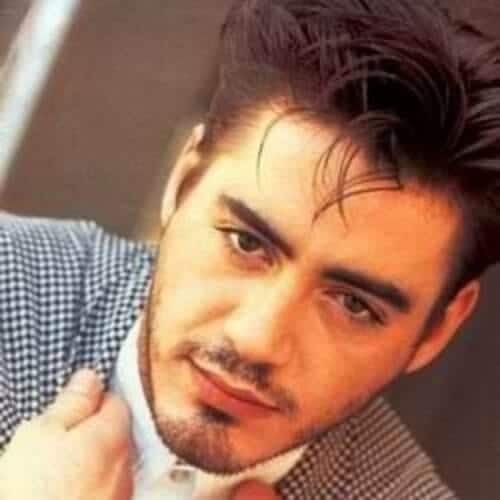 When it comes to hairstyles, Robert Downey Jr. loves spikes. They are reminiscent of the 90s and 2000s hairstyle which you can still see today sometimes. However, in time, this trend might come back, as all trends do. Here’s a throwback picture of Robert from 1985. You can just see the 90s haircut starting to creep up on him. However, in terms of the 80s, this is a scruffy short and gelled crop with wispy bangs that hang carelessly over his forehead. 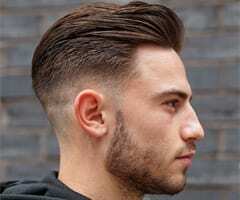 If you love slick backs, then you can try this long one as well. All you need to do is let your hair grow out a bit and slick it back using some hair gel and a bit of hairspray to keep it all in place. It will be perfect for people with a heart-shaped face. As mentioned previously, Robert Downey Jr has tried his hand at different hair colors a bit. He hasn’t strayed much from the beaten path, though, so here he is with a chestnut brown instead of his usual dark brunette. He still looks fierce. 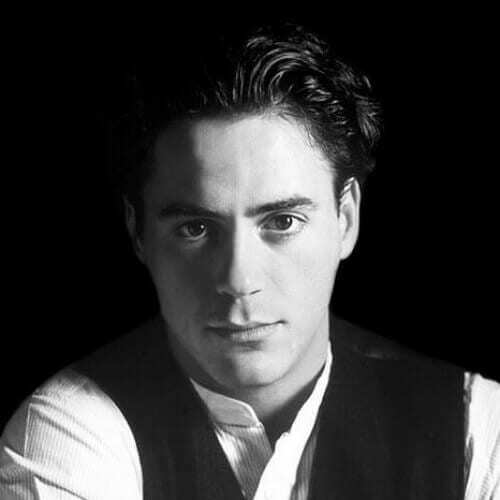 As the Ironman movies progressed, so did Robert Downey Jr’s haircuts. 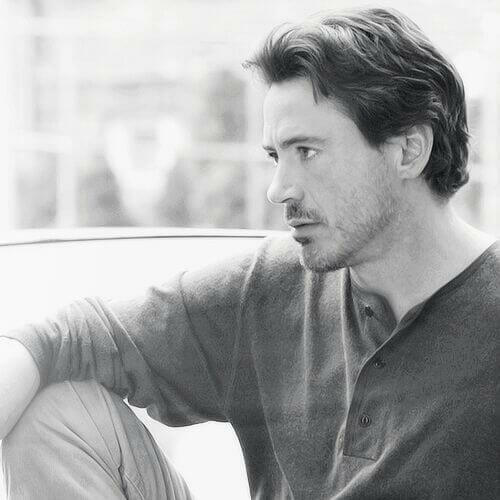 This is his hairstyle from the last one, Ironman 3. It has a softer and more mature approach, trying to convey the message that the character has developed and is ready for closure. 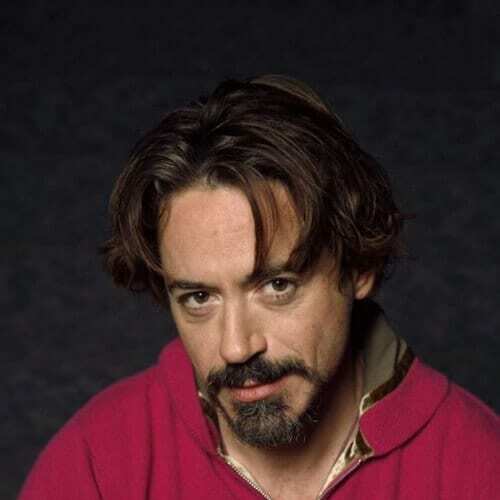 If you’re a fan of the no-fuss hairstyles, here’s a shaggy one for you inspired by the great Robert Downey Jr. It will save you a lot of time in the morning because it will only take you a few minutes to get ready. 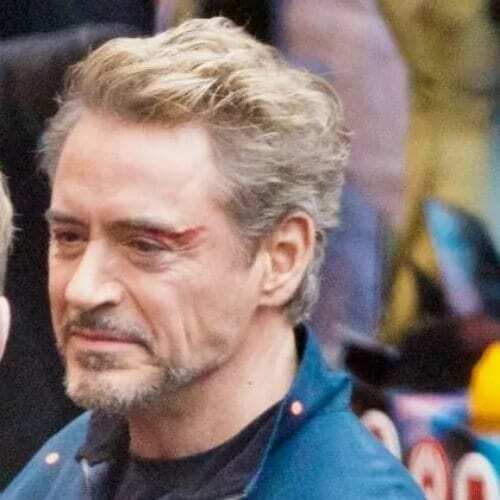 Here is that off-duty Tony Stark hairstyle we’ve been talking about so much. 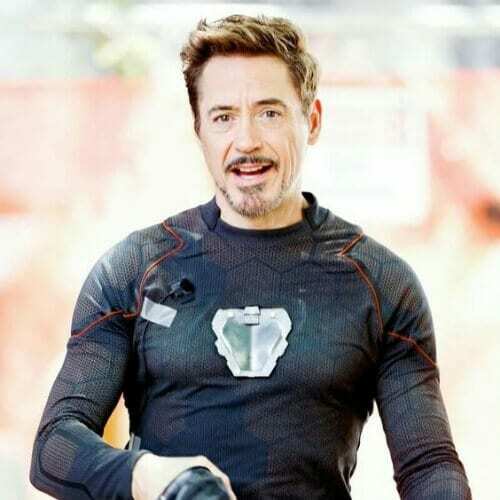 These days Robert Downey Jr wears it as his own. Can we also take a moment to appreciate that gold sparkly suit he is wearing? Only he could pull that off. Medium bangs can be a great choice if you have an elongated or oval face because they will cut the shape of your face across your forehead. In this way, they will create the optical illusion that your face is smaller and better proportioned. Robert made his acting debut at the very tender age of five. 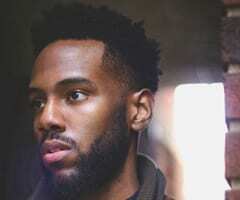 He played a sick puppy in one of his father’s movies, an absurdist comedy entitled Pound. This is a picture of the actor back when he was a little boy but when he had already begun acting. The bed head haircut has been all the rage in the past few years. We all love the ‘I woke up like this’ trend and want to know how to do it. 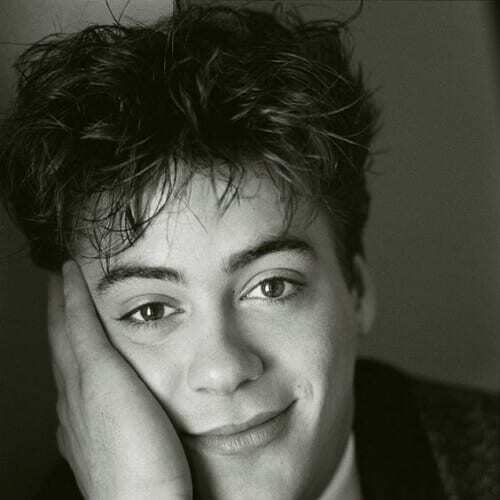 You can take a cue from young Robert Downey Jr and use some mousse to tousle your hair around. 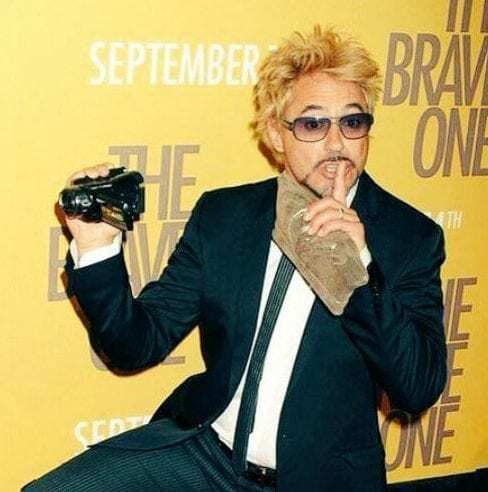 When you’re a such a famous actor like Robert Downey Jr is, you must have a go-to look for red carpet events. This is his. It’s a short slick back with a little quiff at the front, completed by a beard very reminiscent of that of Tony Stark’s and a pair of colorful sunglasses. Here’s another one from the 90s which features very heavy side swept bangs. There’s a parting on one side which you can copy and then use a bit of glossing agent to make your locks shine with health. 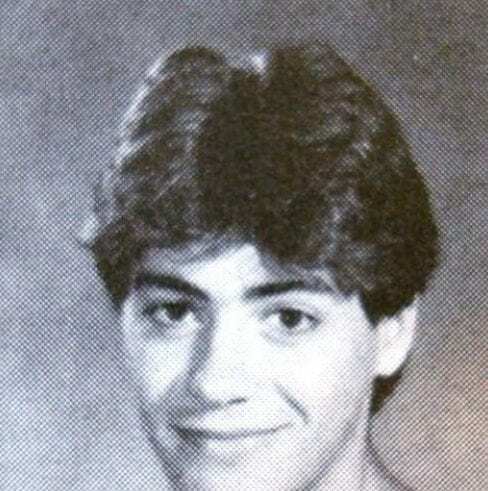 Yes, we also have Robert Downey Jr’s yearbook photo, so that we can give you a complete look at his hairstyles over the years. He was already handsome even back then, sporting a typical hairstyle for the beginning of the 80s. 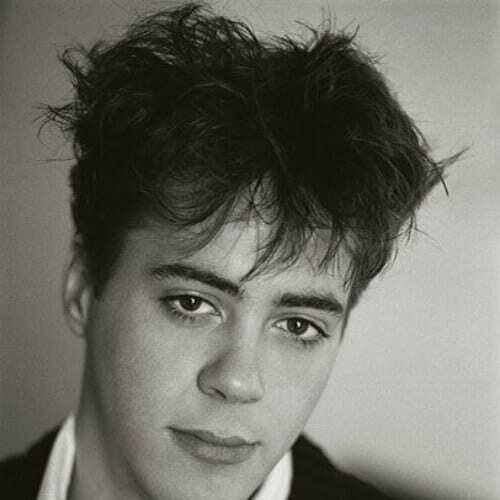 Not every Robert Downey Jr haircut was a winner though. Some of them were a swing and a miss. This messy and shaggy short bottle blonde one combined with the Tony Stark beard and the purple ombre sunglasses might be a bit unfortunate. 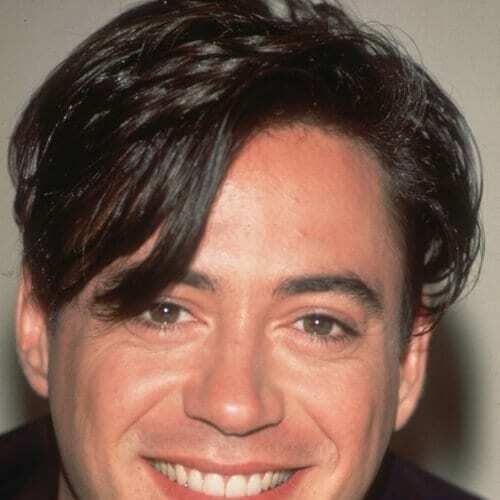 There are two things that never go missing from a Robert Downey Jr haircut – spikes and bangs. This is a messy take on his overly long bangs which he swept to one side so that he can look carefree and casual. Admittedly, this is a haircut from one of his movies. Still, that doesn’t mean he didn’t look good wearing it or that you shouldn’t copy it if this is your favorite Robert Downey Jr look. As promised above, we have another shot from the Avengers: Infinity War set for you. Here’s everyone’s favorite superhero, Ironman donning a whole new hairstyle. He appears to be blonde with a fair amount of gray at the temple, looking very mature. Here’s another look that we’re not used to seeing in the usually dapper Robert Downey Jr. It’s a medium wavy cut with the ends turned out. If you like it, you will need to use a round brush and a dryer and comb it all in outward motions. 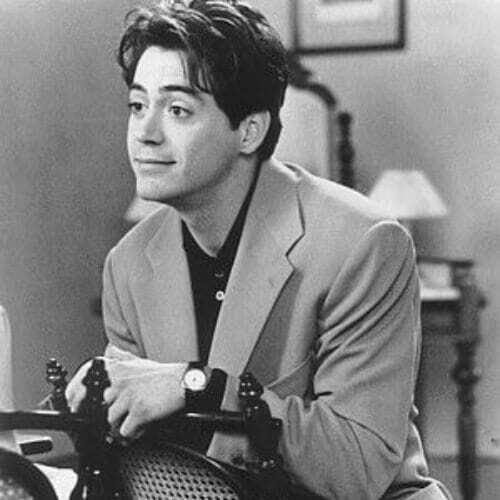 We’ll finish this exhaustive list of Robert Downey Jr haircut ideas with another one from his filmography. 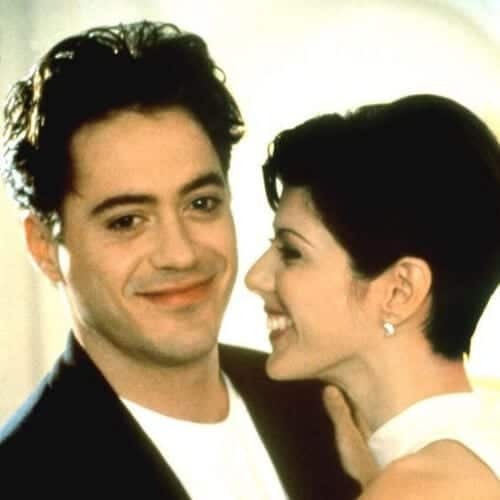 This is him alongside actress Marisa Tomei in Only You from 1994. They are absolutely adorable together! 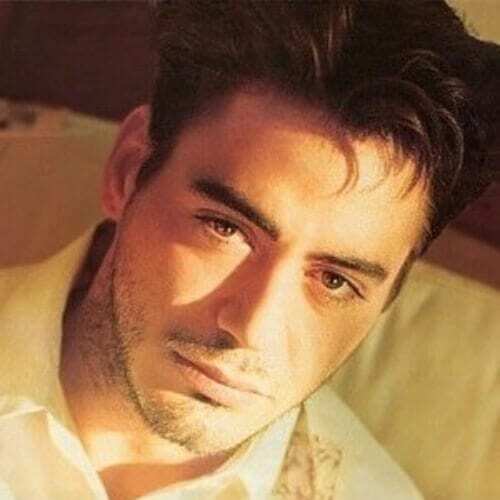 With a career expanding over three decades, actor Robert Downey Jr has had an entire plethora of hairstyles. 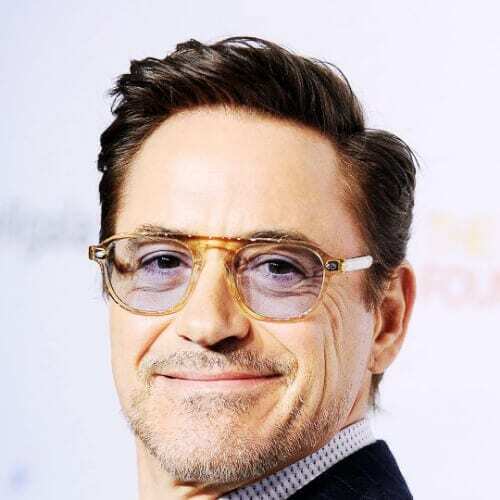 He has covered the 80s, 90s, and 2000s and now he is proudly tacking the 2010s by sporting different versions of what his fans and critics are calling the Tony Stark hairstyle. All this means you have a lot of material to choose from when it comes to inspiration drawn from Robert Downey Jr haircut ideas!